Hey loves, i'm really excited to bring you this review. Evita Joseph Beauty, an award winning & upcoming Ghanaian beauty brand, recently came out with liquid matte lipsticks. How exciting! 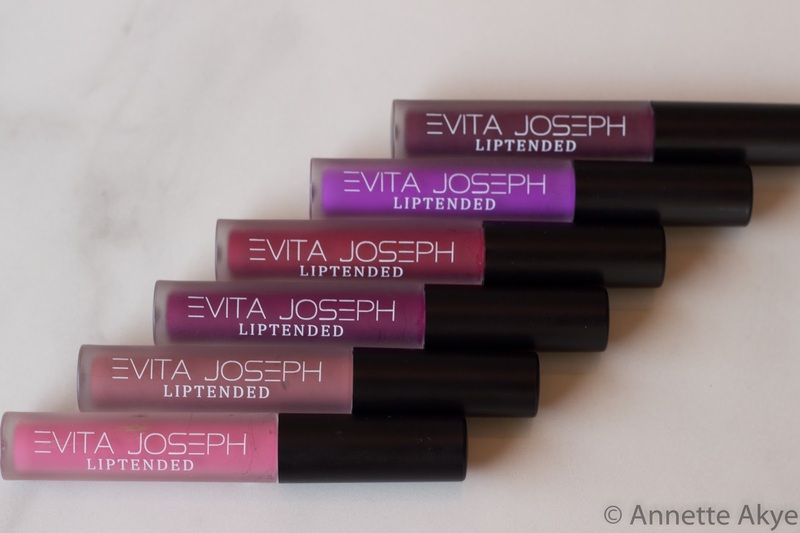 Liquid lipsticks are trending right now for various reasons. I was fortunate to receive 3 lipsticks and here's my honest review on them.Well i loved them so much i went ahead to get 3 more. YUP! 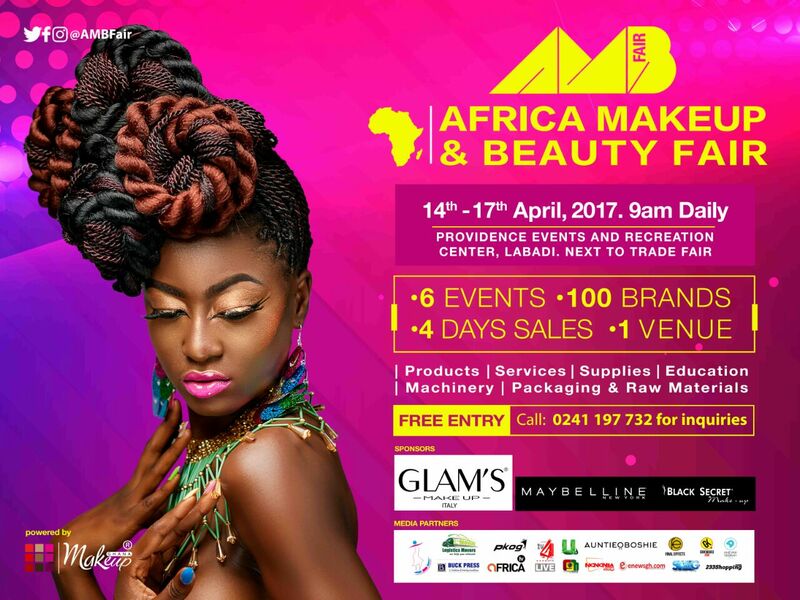 The Africa Beauty & Makeup Fair is here!!!!!! Woop woop! I'm super excited about this fair for various reasons. The AMB Fair 2017 is the second of its kind but bigger and better than the first. It's going to be a gathering of many African beauty brands across makeup, hair care, skin care, nails, etc. Hello everyone, long time no see! I can't believe i haven't posted this since i wrote it in october?! Oh well, better late than never right? 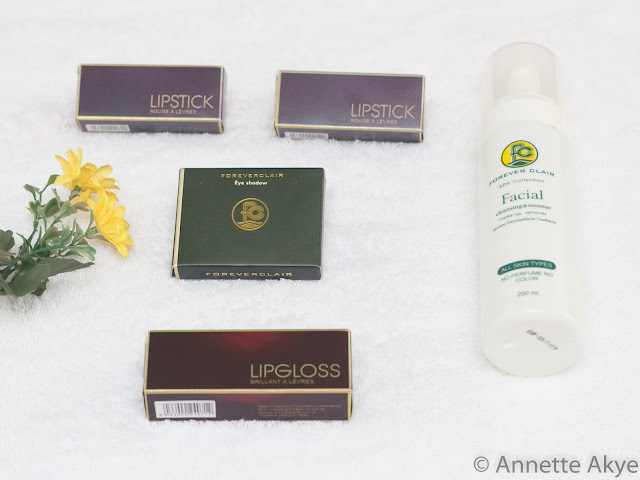 Today i wanted to share with you some makeup items from a Ghanaian cosmetic brand we are all familiar with and that's Forever Clair aka FC. So award winners and nominees of the Ghana Makeup Awards were invited to a soiree at the Movenpick Ambassador Hotel hosted by FC CEO Mrs. Gladys Amey-Obeng. It was such an honour to meet the lady behind this international Ghanaian brand and to gather some wisdom from her. We met her, her husband and daughters who basically run the company together. That is goals right there!!!!!!!!! There was so much chatter and food and we took it as a time of relaxation and networking. At the end we were all presented with a goody bag full of awesome FC products.